1. Heat all ingredients to boiling in 3-quart saucepan over medium-high heat; reduce heat. Simmer uncovered 10 minutes. 2. Strain cider mixture to remove cloves and cinnamon if desired. Serve hot. 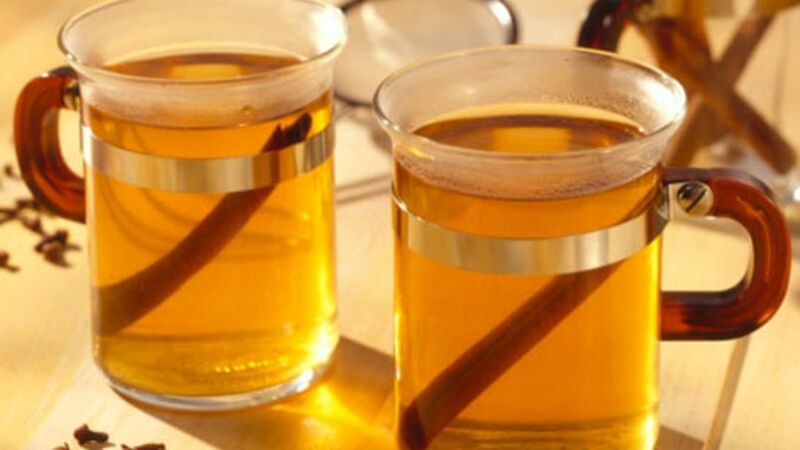 Hot Buttered Rum Spiced Cider: Make as directed. For each serving, place 1 tablespoon butter (do not use margarine or vegetable oil spreads), 1 tablespoon packed brown sugar and 2 tablespoons rum in mug. Fill with hot cider.